I'm delighted to announce that I'll be making a return trip to visit Houston this May! 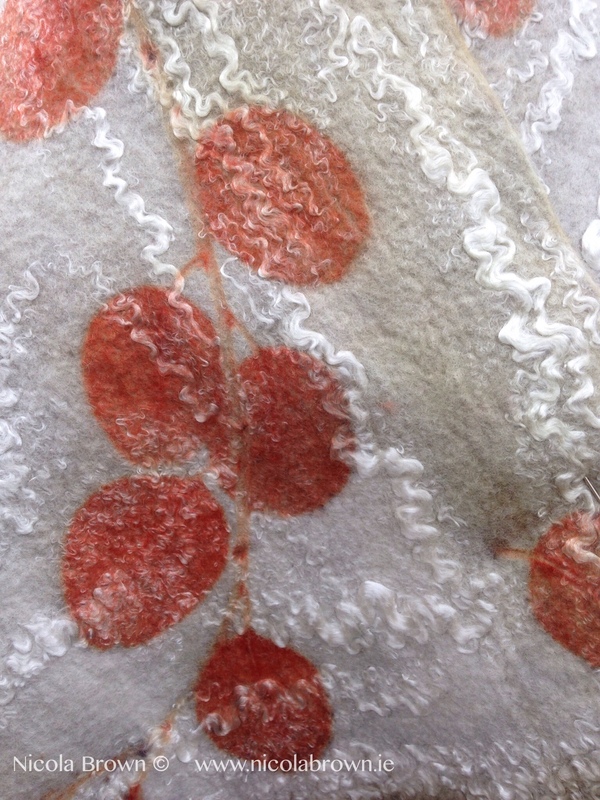 My lovely hostess Barbara and I will be visiting thrift and consignment stores then playing in her studio for a week or so, I'll also be facilitating an intensive one day eco printing workshop on protein fabrics. This will take place on Tuesday 12th May, please email Barbara if you would like to book a place and the workshop description is the same as that for Plainwell MI. You can view it here! Those of you following my personal page on Facebook may have seen my recent woes regarding the stolen courier van and problems booking flights to the US, I've tried not to harp on about them too much on the business page for obvious reasons, no one loves a moaner!!! Anyway, as a result of the stolen courier van two of my Showcase trade orders went missing without a trace, the last couple of weeks have been spent trying to print replacement pieces as well as battle it out to try and get insurance compensation. 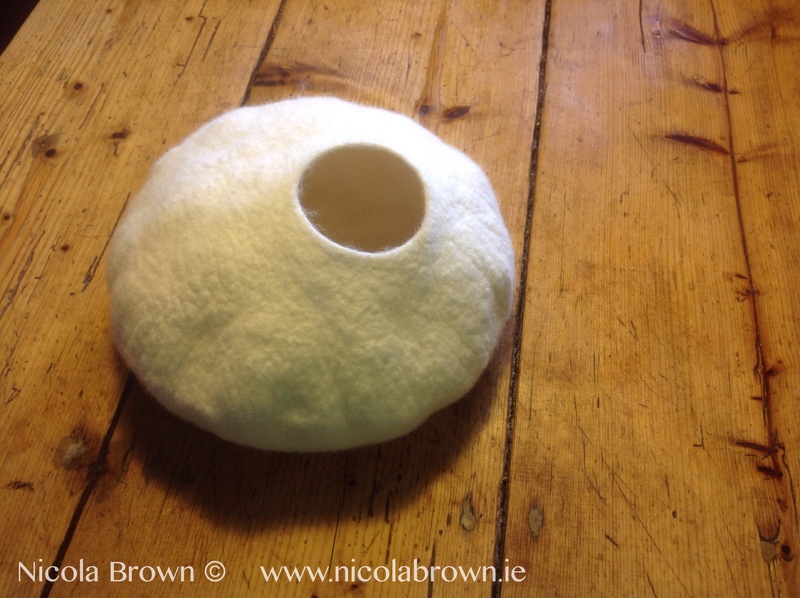 Now that the replacement stock is all finished I've finally time to start felting some vessels for Ross Fine Art Gallery and Craft Boutique in Ramelton, Co. Donegal. These all need to be felted, printed and ready to deliver before I head overseas, I'm hoping to have them completed before my house sitter arrives on 12th April then I can spend a day or so showing her the ropes here. Got to fly, the studio is calling. 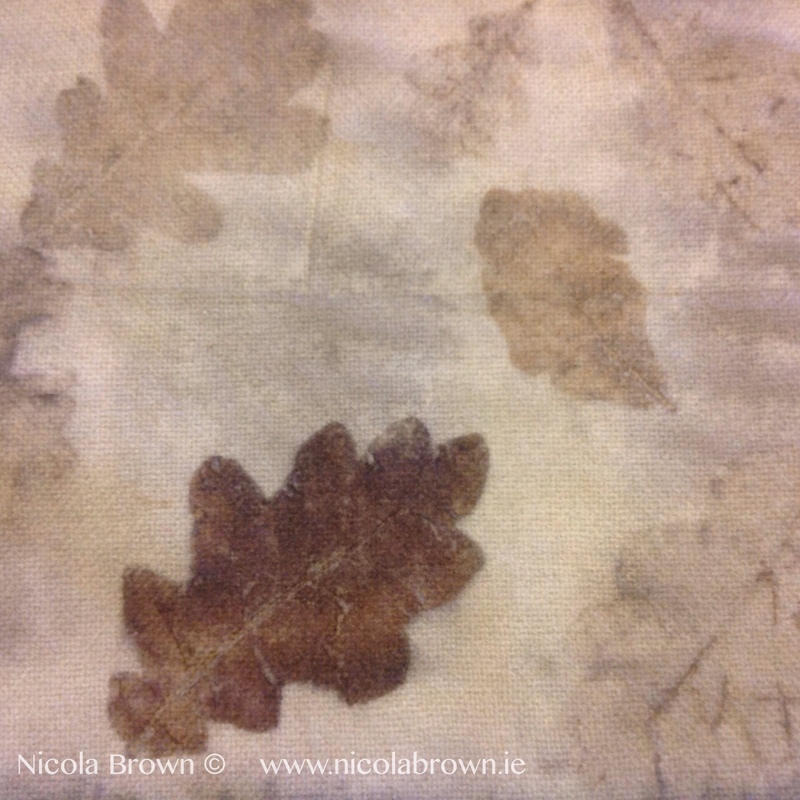 This entry was posted in America 2015, eco prin, eco printing, Felt, workshops and tagged eco printing, Felt, Felting, Houston, Ross Fine Art Gallery, Ross Fine Art Gallery and Craft Boutique, workshops by Nicola. Bookmark the permalink. Sorry to hear about your losses. The vessel shown is absolutely lovely.